With its Mediterranean climate, enchanting rolling hills, neat rows of vineyards, and world-class wineries as well as a smorgasbord of activities and events, Napa Valley is the perfect destination for the honeymooners. When planning a honeymoon in Napa Valley, there are some things that you should consider. Napa Valley is just about a 90-minute drive from San Francisco’s downtown. Although you may have your holiday in the Wine Country any time you wish, it is recommended that the months of August to November are considered a great time to travel there. August and September are summer months in California. A drive to the Napa Valley will reward you with warmer temperatures and a whole different environment away from San Francisco’s notoriously chilly fogs. October and November are perhaps the most beautiful time to have a vacation or honeymoon in the Napa Valley. You will find a marvelous explosion of green and warmer colors of autumn that adorn the Wine Country. These months are generally cooler, although the weather can invariably change — you may experience some Indian summers and short periods of rainfall and even some thunderstorms. Autumn is when the grapes and other seasonal produce are ready to be harvested and you might not want to miss this chance to experience what it’s like to see or go fruit-picking in Napa. Celebrate the harvest and the bounty of the valley by taking part in the seasonal events where you will have the chance to do wine tasting as well as food and wine pairing. If you want to have a honeymoon in Napa but you’re somewhat short on your budget, we suggest you go there from December to March, where wintertime and spring loom. Since these months are an off-peak season for Napa tourism, hotels and other lodgings slash down rates — you really don’t want to miss taking advantage of the discounts they offer. Hotels you couldn’t touch during the summer months become more affordable, and lodgings in downtown Napa are absolutely inexpensive. Besides, winter and spring months unfold an unusual kind of beauty in Napa Valley, where brilliant yellow wild mustard blooms steal the show as the barren vineyards are taking a rest. Emerald green rolling hills complete the picture-perfect loveliness of Napa Valley. Best prices and otherworldly beauty of the Wine Country are reasons why you want to go there during winter and spring seasons. Autumn, winter, and spring seasons are also the best time for sunrise hot air balloon rides, since this mode of transport prefers cooler weather and stable winds. Riding on a hot air balloon has this unusual but appealing mix of adventure and tranquility that tourists crave. There are many companies that offer hot air balloon rides in Napa but people want to choose a company that has several years of experience, not to mention is also a pioneer in this kind of business. For this reason Balloons Above the Valley (BATV) has almost 40 years experience of providing hot air balloon rides in Napa Valley… and it is still flying high! If you want your honeymoon to be extra-special and utterly unforgettable, then choose BATV for your hot air balloon adventure! 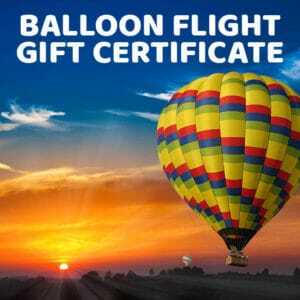 We at BATV conduct not only hot air balloon rides but also wine tours and offer other perks, as well. Delicious and freshly-made hot pre-flight breakfasts are served to get you ready for your sunrise hot air balloon flight. After your wonderful and successful flight, celebrate with a heavenly post-flight champagne brunch along with other guests. Ride in comfort and style from San Francisco downtown to the Wine Country by boarding our fleet of limo buses. Be educated and entertained as you visit several wineries in Napa and Sonoma, and grab the chance to do wine and olive oil tasting. Be enticed and enjoy our picnic-style lunches. You can even shop till you drop following the post-flight champagne brunch! Of course, riding the hot air balloon may be one of the highlights of your honeymoon. As you gently float above the blue skies, meet the sunrise, and enjoy the lovely Napa Valley landscape, they add to the exhilaratingly romantic factor of your honeymoon. 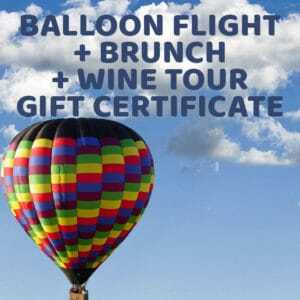 If you want to have the balloon ride and a private table for the champagne brunch for just the two of you alone, you may want to consider our exclusive flights package. Only BATV can give that to you! You can check out more information about our sunrise hot air balloon and wine tours package: http://balloonrides.wpengine.com/tour-options-pricing-reservations/. As suggested, the months of August through March should be the best time for you to go on a honeymoon in Napa Valley. And speaking of the best, you might as well go for that quality when choosing a company for your romantic hot air balloon flights. Only Balloons Above the Valley can provide you the best, safest, and most delightful hot air balloon rides in Napa Valley.